Never in the past century has the FBI ever had greater access to consumer data than it does today. It has never been easier to locate a person of interest—be it a terrorist, a counterfeiter, or a child predator. The quickening pace of technology has given rise to new forms of surveillance, the likes of which, two decades ago, no federal agent would’ve ever thought possible. The FBI has long argued that it actually supports the use of “strong encryption.” That is patently false, of course. The bureau vehemently opposes the adoption of technological architectures to inhibit third-party access to communications, such as end-to-end encryption. Instead, it has argued in favor of what’s commonly called a “backdoor” into consumer devices—a mythical gateway into encrypted communications that only the federal government can access. More than two years ago, the FBI quietly removed advice from its website that had urged consumers to use encryption. It later claimed it had no record of ever doing so. The study, titled “Don’t Panic,” notes that locational data from cellphones and other devices, telephone calling records, header information in emails must all be unencrypted in order for the systems that control these methods of communication to operate. “This information provides an enormous amount of surveillance data that was unavailable before these systems became widespread,” the study says. The imagery that accompanies a “backdoor” seems harmless enough; but it only seems that way. There is no conceivable method for creating a secure portal to consumer data that can be accessed and controlled solely by the FBI. It is purely magical thinking. The US government is itself awful at protecting secrets; the US intelligence community in particular leaks like a sieve, its data stolen or hacked on a regular basis. Highly guarded NSA and CIA programs are routinely exposed online. If you look beyond the FBI’s colorful metaphors, what the bureau really wants for consumer is not “strong encryption,” but weak encryption—encryption with inherent flaws that make it easy to defeat. 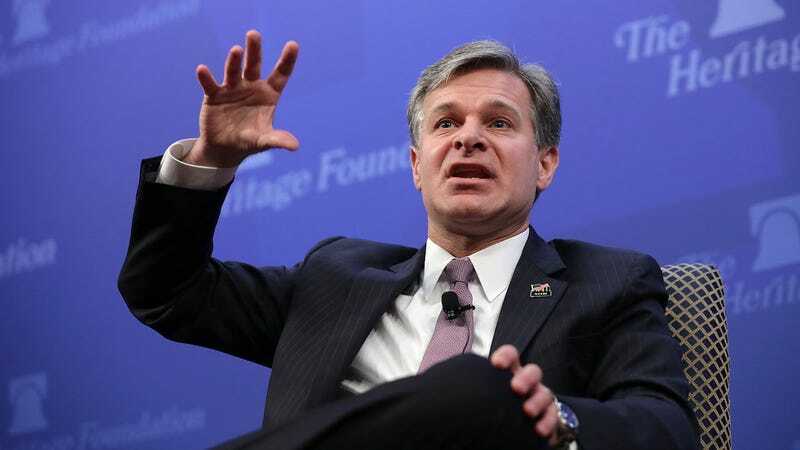 The irony, of course, is that without strong encryption, consumer data would be even more vulnerable to the types of criminals the FBI claims it is trying to stop. To wit, encryption is a process whereby messages are encoded through the use of mathematical algorithms. Some stand up to attacks better than others. But by design, only the intended recipient of the message should be capable of deciphering it. Therefore, what the FBI really wants is for Americans companies to use lousy math. There exists a huge gap between what the bureau wants and what is practicable. Tech companies are simply never going to wittingly employ a system that leaves its customers—and thereby its own brand—open to attack.